Adjective. 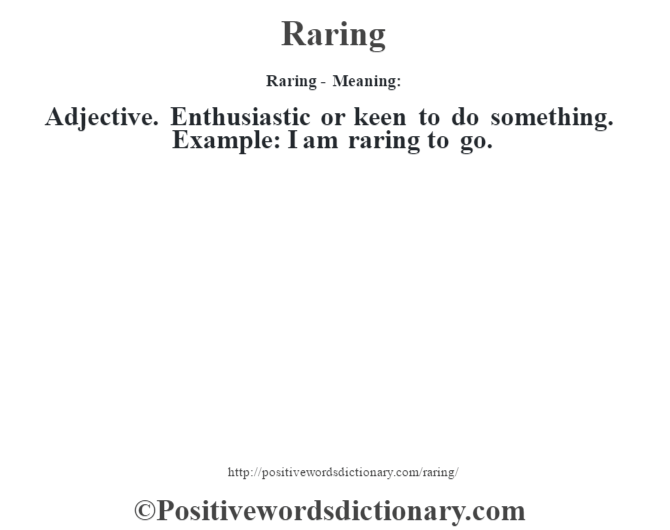 Enthusiastic or keen to do something. Example: I am raring to go.